Swedish director Kasper Collin’s new documentary I Called Him Morgan investigates the meteoric rise and sudden fall of the great jazz trumpeter Lee Morgan. But those going into I Called Him Morgan expecting a hagiography may be disappointed. The trumpeter’s voice is barely heard, and “The Sidewinder,” the meandering 1964 earworm for which he is best remembered, isn’t played in the film at all. Who were his influences coming up as a young musician before joining Dizzy Gillespie’s big band at 18? Did losing his teeth affect his embouchure? Such questions are left for another film to answer. Instead, I Called Him Morgan focuses on Lee’s wife, Helen, who murdered him when he was only 33. Throughout I Called Him Morgan, Helen’s lilting drawl plays back on a scratchy cassette tape, the artifact of a chance encounter between Helen and the North Carolina DJ Larry Reni Thomas. Although Thomas had asked Helen for an interview in the late 1980s, it took eight years for Helen to decide to tell her story. She finally agreed to be interviewed in February 1996, one month before her death. The tape of Helen replays as a motif throughout the film, signaling the precariousness of history and the provisional relationship between narrative and truth. I Called Him Morgan casts Helen (the “I” in the film’s title) not as a coldblooded killer, but as a sympathetic and relatable one. 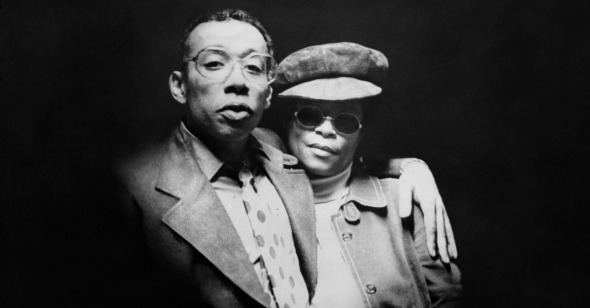 She rescued Lee Morgan from a rock-bottom heroin addiction, clothed him, fed him, housed him, and bought back his trumpet, which he had pawned for drug money. She found him work when no one wanted to hire him, and made sure he showed up to his gigs. She even carried his trumpet for him. By centering on Helen, the film has a feminist streak, a badly needed course corrective for a musical genre whose histories overwhelmingly stem from the perspective of men worshipping at the altar of other men. Like Nellie Monk, Lorraine Gillespie, Gladys Hampton, and Maxine Gordon, Helen Morgan labored in an invisible economy of jazz wives who worked behind the scenes to ensure their husbands’ success and survival. Helen’s murder of Lee, the film implies, was a morally ambiguous crime of passion, a knee-jerk collection on a vast and unrepayable debt. Distraught by Lee’s callous, blatant infidelity, Helen killed him in between sets at Slug’s Saloon on NYC’s Lower East Side in 1972. It was a gig that she, then working as his manager, had arranged on his behalf. The film’s portrayal of Helen is also intersectional, showing how her life was shaped by her efforts to escape poverty, motherhood, and the limited opportunities afforded black women of her generation. The film plumbs the unseen corners of Helen’s life, taking viewers into the rural North Carolina hamlet where she was raised. She gave birth twice before the age of 14. An ambivalent mother, Helen left her children behind in the South to pursue a life in New York City. She rejected the service jobs typically offered to black women, and cultivated a community of bohemians at her apartment, which served as an after-hours spot for struggling musicians to crash or eat a home-cooked meal. Helen earned the respect of the trumpeter’s friends and colleagues, several of whom appear in the film, including Charli Persip, Paul West, Bennie Maupin, Albert “Tootie” Heath, and Wayne Shorter—an interview that took Collin several years to line up. The interviews are exquisitely lensed by Bradford Young (nominated for an Oscar earlier this year for Arrival). Pianist Jason Moran’s score deepens the film’s warm, wistful atmosphere. Collin delves into a rich archive of images—many which have never been publicly available—by the German-born Francis Wolff and the British photographer Valerie Wilmer to reveal Morgan and his collaborators in a range of candid, intimate moments. In this and other ways, the film serves as a powerful testament to the importance of foreign perspectives on the United States in our cinema, and how directors from abroad have long documented what’s been hidden in our nation’s blind spots. I Called Him Morgan joins a growing corpus of Swedish documentaries on American musicians of color whose genius has been neglected in their own country. Göran Hugo Olsson’s Am I Black Enough for You? (2009), for instance, examined the legendary Philadelphia soul singer Billy Paul, whose career rose with the swoony single “Me and Mrs. Jones,” then plummeted soon after. The late Malik Bendjelloul’s Searching for Sugar Man (2012) rediscovered Rodriguez, the Detroit singer-songwriter forgotten by American audiences but “more famous than Elvis” in South Africa. Collin’s 2006 film My Name Is Albert Ayler probed the life and death of Albert Ayler, the avant-garde jazz saxophonist who was beloved by Swedish audiences at a time when he was unable to find work in the United States. Yet while Swedes have helped create some of the most beautiful, assiduously researched films about African-American culture in recent memory, behind the trend lurks an uncomfortable truth. The film, which gleans its power from black artistic brilliance and suffering, is underwritten by a radically uneven global landscape of racial and economic privilege. In a Q&A session after a screening of the film at the New York Film Festival, one audience member accused the filmmaker of cultural appropriation, calling Collin a “culture vulture.” The deeply entrenched inequalities of documentary filmmaking—a genre that, since its origins, has grappled with its exploitative relationship to its subjects—must be acknowledged if there is any hope of progress. But an awareness of white, European privilege doesn’t diminish I Called Him Morgan’s unique contribution to jazz and American history, nor should it. Swedes have long been among the sharpest observers of African-American culture and critics of American racism. It was a Swedish sociologist, Gunnar Myrdal, who wrote An American Dilemma, the landmark 1944 study of American racism cited in Brown v. Board of Education. In 1964, eight members of Swedish parliament helped drive the successful Nobel Peace Prize nomination of Martin Luther King, Jr.
Now more than ever, we need voices from outside of the United States to tell and amplify the stories that we can’t tell on our own. Fulfilling the promise of My Name Is Albert Ayler, Collin’s I Called Him Morgan offers not just an aesthetic revelation, but a political one as well. By exhuming Helen’s story, Collin’s film reveals what jazz fandom ignores—the misogynoir that stretches deeply, if imperceptibly, into the lives of some of the genre’s most hidden figures.